"Those minds which are focused on the Lord, those minds which are focused on loving God fully, which are absorbed into that love, whenever they sit in meditation they perceive God within their heart. 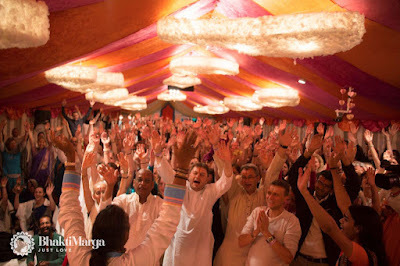 The fifth day of the Bhagavad Gita course focused on the glory of God. 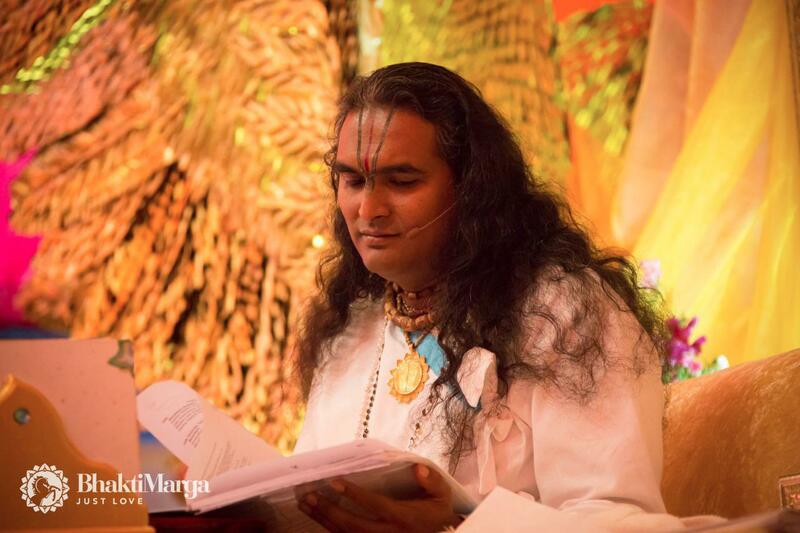 During this day, Paramahamsa Vishwananda gave commentary on both chapter 10 and chapter 11, the chapters in which Lord Krishna begins to reveal to Arjuna the greatness of the Lord and His Cosmic manifestation. Chapter 10 of the Bhagavad Gita is called "Vibhuti Yoga," (the Yoga of Manifestation - the Divine Glories). In this chapter as in chapters 7 and 9, Krishna delves further into His divine nature as the ruler of the cosmos. Teaching that through a loving relationship, one can attain His grace. Arjuna also asks Krishna how can one recognise Him in the world. In response to Arjuna's longing, the second half of the chapter sees Krishna give a series of poetic descriptions of His glory (vibhuti) showing how He can be known.
" 'Among worship I am Japa.' Here again Bhagavan is saying what is the best prayer you can do: is to chant His Name. 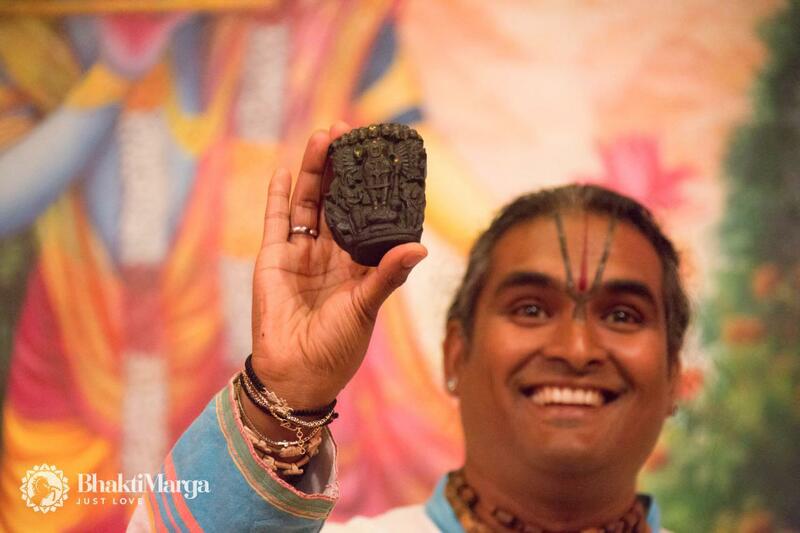 The act of chanting itself is Bhagavan. That’s why earlier I was saying, you know, when you are initiated in the Divine Name, already the Lord is with you. When you are chanting, you are thinking of Him. Wherever you go, each breathe that you are taking in with His Name, it is Him near to you. Here Bhagavan is saying this Mantra Kriya itself is a greatest sacrifice. It is through that chanting of the Divine Name that one will perceive Him. It is through that offering in the simplicity, how simple it is, just by chanting the Name, because the act of chanting it is Himself. That’s why He said that Japam is the greatest worship. In chapter 11, after hearing in detail the vibhuti's (glories) of the Lord, Arjuna's longing grows even more intense. As a result, Arjuna wants to see the 'avyakta murthi' that hides behind creation. This is the climax of the Gita, where Arjuna sees directly the cosmic form of Krishna, the cosmic form of the Supreme. Upon seeing this cosmic form, the Vishwa Swaroop, which Lord Krishna reveals to Arjuna, he goes into a state of shock. The sight of the Lord creates confusion and fear for Arjuna, as it is beyond anything which he could have ever imagined. 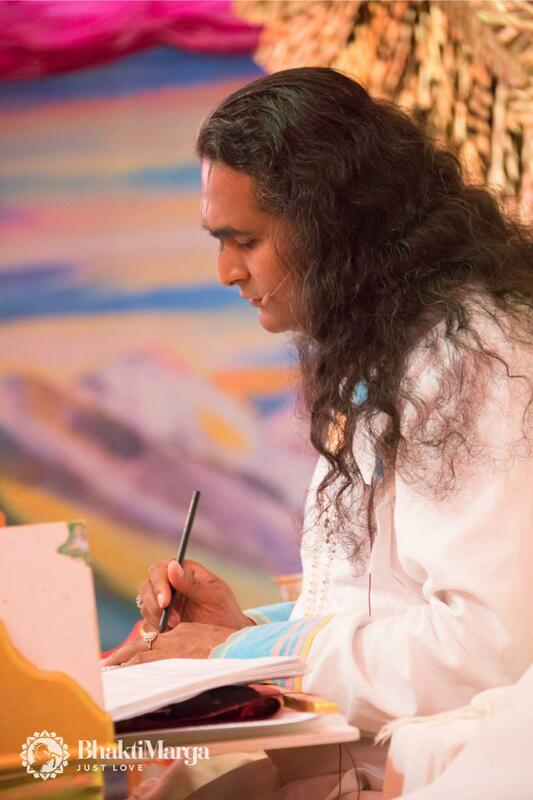 Day 5 of the Bhagavad Gita course reminded each of the participants, that in reality, God is a mystery to us, but it is through the grace of the Guru which He can be revealed. Just as Lord Krishna had blessed Arjuna with the vision of the Lord, so too is the role of the Guru for each disciple/devotee. 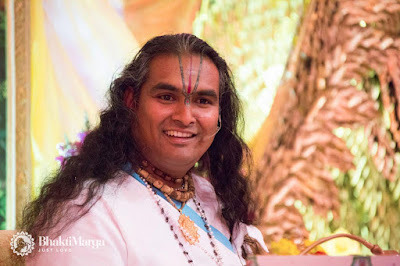 It is up to each one to purify the mind through the chanting of the Divine Names, and to trust that the Satguru knows when to reveal the Ultimate Reality that governs all of creation. Jai Gurudev!